"What do you mean I'm going to sag? Sag WHERE?" Lauren discusses the perils (and occasional pleasures) of ageing with Ruby Hammer, Miranda Sawyer, Helen Small and Michele Hanson. "What do you mean I'm going to sag? Sag WHERE?" These days the world seems full of well-intentioned cat-poster sentiment designed to cheer us up over the passage of time -You're only as young as you feel, 70 is the new 40 - but for women in particular, advancing age can mean a sense of panic. 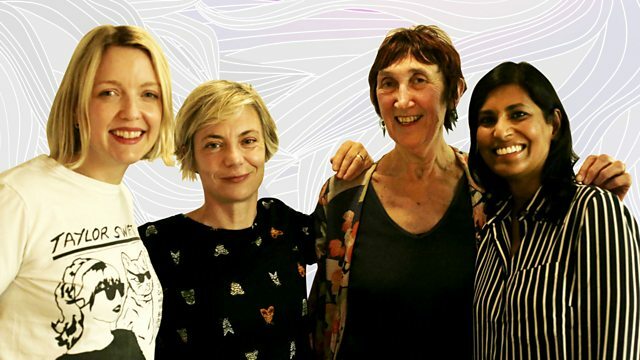 Lauren invites writer and broadcaster Miranda Sawyer, cultural historian Helen Small, founder of the Ruby & Millie makeup range Ruby Hammer and writer and Guardian columnist Michele Hanson to provide LNWH listeners with a toolkit - philosophical, cultural, emotional, sartorial - for getting older.